How much sugar in breakfast? How Much Sugar is there in your Breakfast? 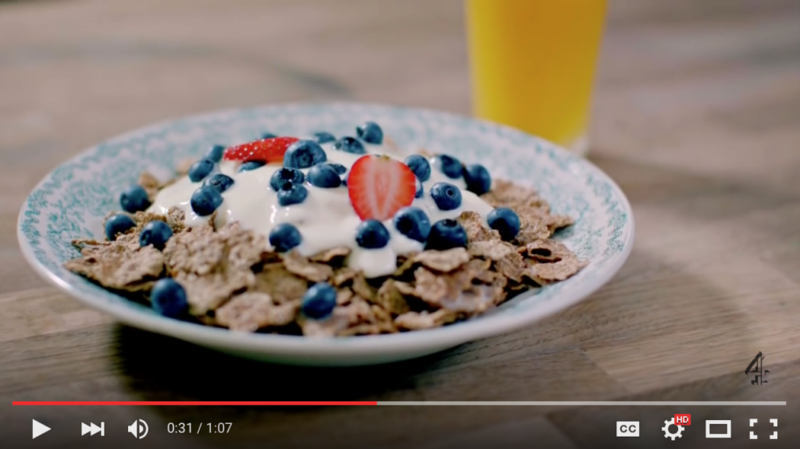 This short clip from Jamie Oliver’s newest documentary: “Jamie’s Sugar Rush” highlights how much HIDDEN sugar there is in a typical breakfast. Given that most of us do not eat that large a portion as portrayed in the video, it is still eye-opening to see how much sugar we miss by not reading the label. Experts are worried about “free sugar” which is the extra amount of sugar added into food. The use of sugar is many: as a preservative, as a flavouring agent, as a bulking agent. We can’t avoid sugar (especially in processed food), but the least we can do is to be aware of how much of it we are eating.